Exclusive Offer * The Perfect Mother’s Day Gift for Under $10! Creative Coloring Course does more than just teach you a few coloring tricks. It’s a unique and packed course that can truly change your life by taking your love, enjoyment and satisfaction of adult coloring onto a whole new level while giving you the skills you need to become a true coloring artist with the ability to create jaw-dropping works of art. 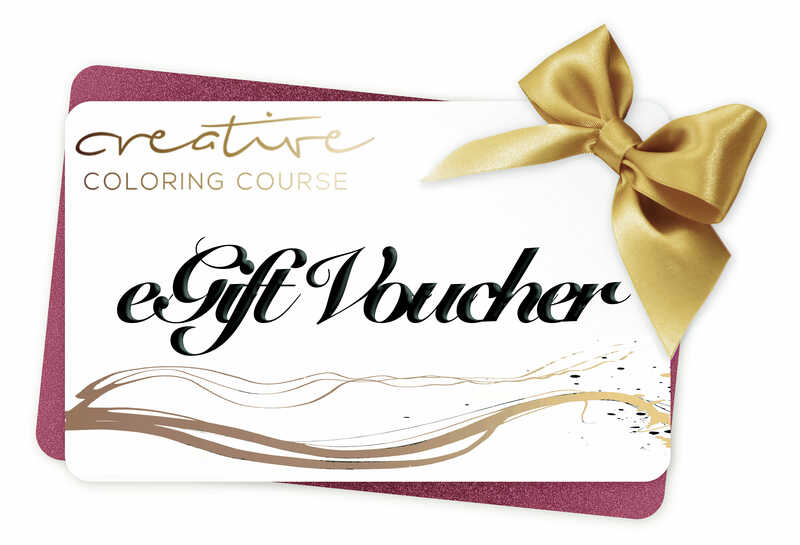 Each eGift Voucher gives your recipient full, unrestricted course access for life. World-class adult coloring and creative training modules, delivered instantly by professional instructor and artist. Certificate of Achievement awarded on course completion. Each gift card gives your recipient full, unrestricted course access and benefits for life, including: all course modules and tests, free course updates, extra downloads and much more! Your eGift voucher is delivered immediately after payment. Ensures a quick and easy course registration for your recipient. It’s more than a gift, it’s a thoughtful and inspirational surprise that lasts a lifetime.